I remember the year that I stopped believing in Santa. I think I was about 8 or 9. I found out from someone at school. They were talking about how they saw their parents putting the presents under their tree the year before. The cogs in the brain started to turn and I started to put 2 and 2 together. At the time I thought I was a big girl, to young for silly notions of Santa, fairies, etc. How wrong was I. I wish I had help onto those beliefs those dreams forever, because once you loose them nothing is ever the same. Christmas day is still fun, you still get presents, a huge dinner and get to see lots of family and friends, but it’s not magical anymore. Once you have children, you get some of that magic back. You get to see it through the eyes of a child and there is nothing more special than that. I hope my children, stay young, innocent and believe in everything magical and mythical for as long as possible. Especially in Santa. I came across a survey that the lovely people at Vouchercodes did and it shocked me a little. So I thought I would share it with you. 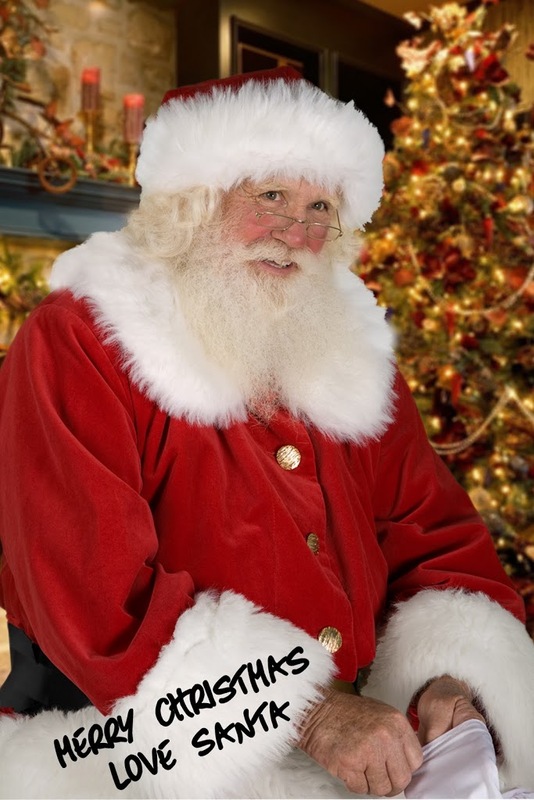 The survey revealed that 46% of children under 18 have never believed in Santa! – What? That is just plain awful. It also found that girls hold onto the Christmas magic longer than boys, believing in Saint Nick until the age of eight years and three months on average. By contrast boys stopped believing an average seven months earlier, at only seven years and eight months old. – I’m going to try change those statistics with my two boys. When did you find out Santa wasn’t real and how did you feel about it? Great post Susan! I have always told my children that Santa is real when they've asked and here is why. I believe the spirit of Santa exists in many forms, through many people. I recall being young, and poor as is common in early marriage. We were struggling to make ends meet and worried about how we would give our kids a good Christmas. One night there was a knock on the door. I went and opened it and there was a huge black bag on our doorstep. I couldn't see anyone anywhere. I brough the bag inside to find it full of expensive toys for our children and a beautiful handmade quilt for my hubby and I. I cry just remembering it. This isn't the only "rough" Christmas time we have ever had in our family, but we have never gone without as some magical gift would always appear for us! So whether those packages where dropped off in a sleigh with reindeer or by generous "elves" who help Santa out, I will never know, but I do know this, as long as he lives in the hearts of others he will always be "real"! Love you! Merry Christmas! DEAR EDITOR: I am 8 years old.Some of my little friends say there is no Santa Claus.Papa says, 'If you see it in THE SUN it's so. 'Please tell me the truth; is there a Santa Claus?VIRGINIA O'HANLON.VIRGINIA, your little friends are wrong. They have been affected by the skepticism of a skeptical age. They do not believe except [what] they see. They think that nothing can be which is not comprehensible by their little minds. All minds, Virginia, whether they be men's or children's, are little. In this great universe of ours man is a mere insect, an ant, in his intellect, as compared with the boundless world about him, as measured by the intelligence capable of grasping the whole of truth and knowledge.Yes, VIRGINIA, there is a Santa Claus. He exists as certainly as love and generosity and devotion exist, and you know that they abound and give to your life its highest beauty and joy. Alas! how dreary would be the world if there were no Santa Claus. It would be as dreary as if there were no VIRGINIAS. There would be no childlike faith then, no poetry, no romance to make tolerable this existence. We should have no enjoyment, except in sense and sight. The eternal light with which childhood fills the world would be extinguished.Not believe in Santa Claus! You might as well not believe in fairies! You might get your papa to hire men to watch in all the chimneys on Christmas Eve to catch Santa Claus, but even if they did not see Santa Claus coming down, what would that prove? Nobody sees Santa Claus, but that is no sign that there is no Santa Claus. The most real things in the world are those that neither children nor men can see. Did you ever see fairies dancing on the lawn? Of course not, but that's no proof that they are not there. Nobody can conceive or imagine all the wonders there are unseen and unseeable in the world.You may tear apart the baby's rattle and see what makes the noise inside, but there is a veil covering the unseen world which not the strongest man, nor even the united strength of all the strongest men that ever lived, could tear apart. Only faith, fancy, poetry, love, romance, can push aside that curtain and view and picture the supernal beauty and glory beyond. Is it all real? Ah, VIRGINIA, in all this world there is nothing else real and abiding.No Santa Claus! Thank God! he lives, and he lives forever. A thousand years from now, Virginia, nay, ten times ten thousand years from now, he will continue to make glad the heart of childhood. DEAR EDITOR: I am 8 years old. "Some of my little friends say there is no Santa Claus. "Papa says, 'If you see it in THE SUN it's so. '"Please tell me the truth; is there a Santa Claus? "VIRGINIA O'HANLON. "115 WEST NINETY-FIFTH STREET. "VIRGINIA, your little friends are wrong. They have been affected by the skepticism of a skeptical age. They do not believe except [what] they see. They think that nothing can be which is not comprehensible by their little minds. All minds, Virginia, whether they be men's or children's, are little. In this great universe of ours man is a mere insect, an ant, in his intellect, as compared with the boundless world about him, as measured by the intelligence capable of grasping the whole of truth and knowledge.Yes, VIRGINIA, there is a Santa Claus. He exists as certainly as love and generosity and devotion exist, and you know that they abound and give to your life its highest beauty and joy. Alas! how dreary would be the world if there were no Santa Claus. It would be as dreary as if there were no VIRGINIAS. There would be no childlike faith then, no poetry, no romance to make tolerable this existence. We should have no enjoyment, except in sense and sight. The eternal light with which childhood fills the world would be extinguished.Not believe in Santa Claus! You might as well not believe in fairies! You might get your papa to hire men to watch in all the chimneys on Christmas Eve to catch Santa Claus, but even if they did not see Santa Claus coming down, what would that prove? Nobody sees Santa Claus, but that is no sign that there is no Santa Claus. The most real things in the world are those that neither children nor men can see. Did you ever see fairies dancing on the lawn? Of course not, but that's no proof that they are not there. Nobody can conceive or imagine all the wonders there are unseen and unseeable in the world.You may tear apart the baby's rattle and see what makes the noise inside, but there is a veil covering the unseen world which not the strongest man, nor even the united strength of all the strongest men that ever lived, could tear apart. Only faith, fancy, poetry, love, romance, can push aside that curtain and view and picture the supernal beauty and glory beyond. Is it all real? Ah, VIRGINIA, in all this world there is nothing else real and abiding.No Santa Claus! Thank God! he lives, and he lives forever. A thousand years from now, Virginia, nay, ten times ten thousand years from now, he will continue to make glad the heart of childhood. I don't remember how old I was but I think I was around 7 or 8 and I caught my dad and uncle putting together our new scotters in the living room.